A conference event is attended by people to share their knowledge, interest, or enthusiasm about a particular topic with one another. Since this activity gathers a number of people, it is important for you to ensure that everything will be planned out accordingly. This is the reason why we highly suggest the development of a well-formatted and comprehensive conference project plan. Just like a sales action plan, a conference project plan also requires the proper specification and description of all key points that you have to consider for the activity. 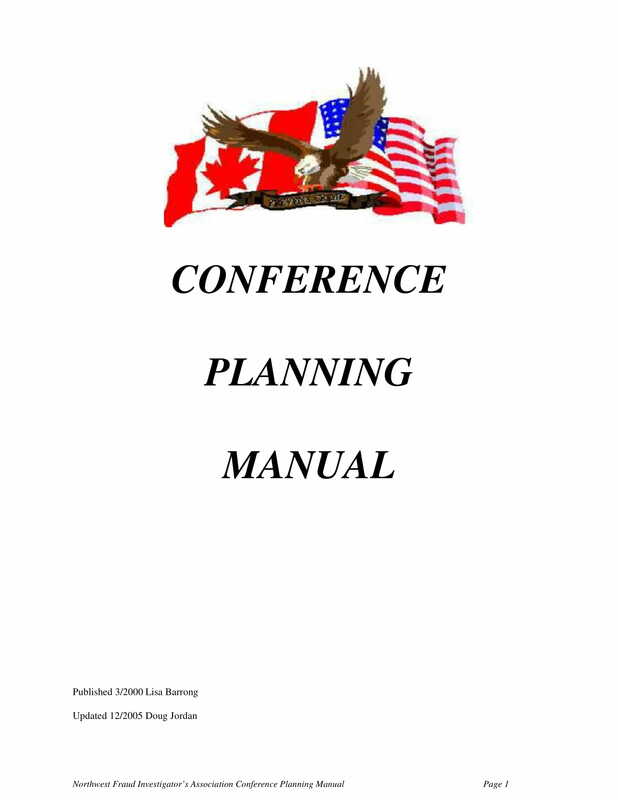 A conference project plan is a great document if you want to ensure the organization of the conference project that you are spearheading, hosting, or organizing. 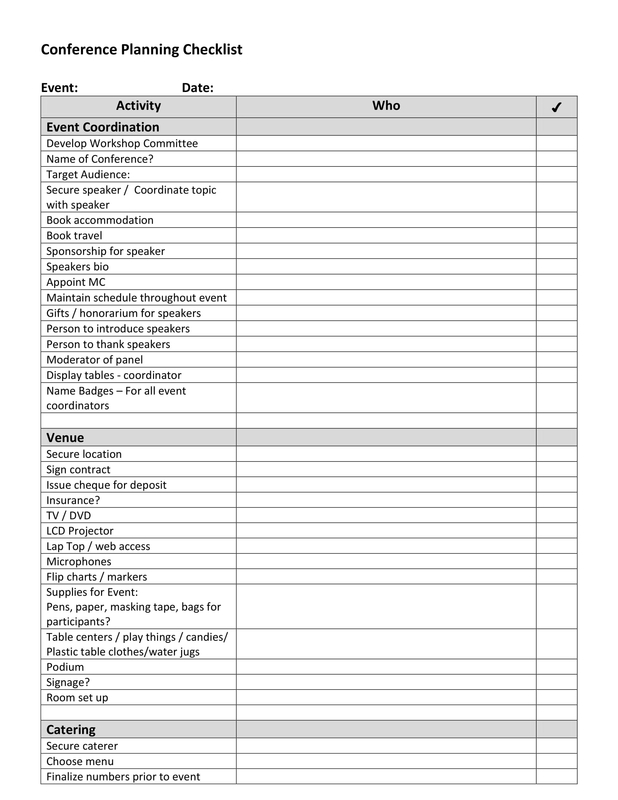 Using a conference project plan can help you ensure that you did not forget any important details that can affect the completion and overall flow of the conference. 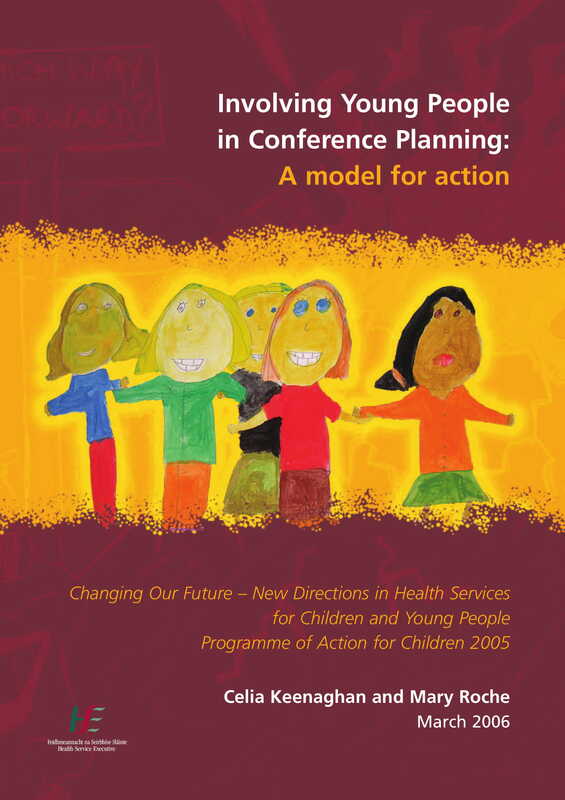 A list of downloadable conference project plan examples in PDF is available for you to browse through in this post. Feel free to use these examples as references if you need to be guided when formatting your own conference project plan or putting together all the information that you want to be included in the document. It is recommended for you to have a vision about the conference that you would like to host or organize. This will help you narrow down your options when it comes to the things that you will put together to come up with the kind of conference that you want to have. As much as possible, plan early so that you can still update your conference project plan as the planning processes for the conference develops. Be particular with the needs and requirements of the conference project. Your conference project plan must contain the description of all the details that you need to acquire and have a hand on within all the conference phases. It is best if you can form a committee or a team that can help you brainstorm the items that you can include in the document. Ensure that your goals are well-defined. You need to make sure that the goals that you will set are attainable, realistic, and measurable. Knowing the output that you would like to get can help you focus on the things that matter and those that can positively impact the execution of the conference project. Set the date and the location of the conference project. You have to reserve your desired location days or even months prior to the event. With this, it is one of the things that you need to plot first so that you are already assured that you have a venue where the conference will be held on the date when you want it to happen. After this, it will be best if you can also think of the title or the name of the conference for branding and marketing purposes. A comprehensive conference project plan can provide a lot of advantages not only to your team but also to all the stakeholders of the conference project. The completion of all the details related and relevant to the conference can make it faster to execute all planned actions and gather all needed materials. Listed below are some of the essential elements that should always be in a basic conference project plan. Finalize the name and tagline of the conference project. This is essential as it will be the highlight of all your marketing paraphernalia. Make the conference title as appealing and as catchy as possible. In this manner, it will be easier for you to market the conference. Know the budget that you need for the conference project. You need to be realistic when setting the amount of money that you plan to spend or allocate for the conference. The activities that you will execute and the materials that you will use depends on the budget that is available. 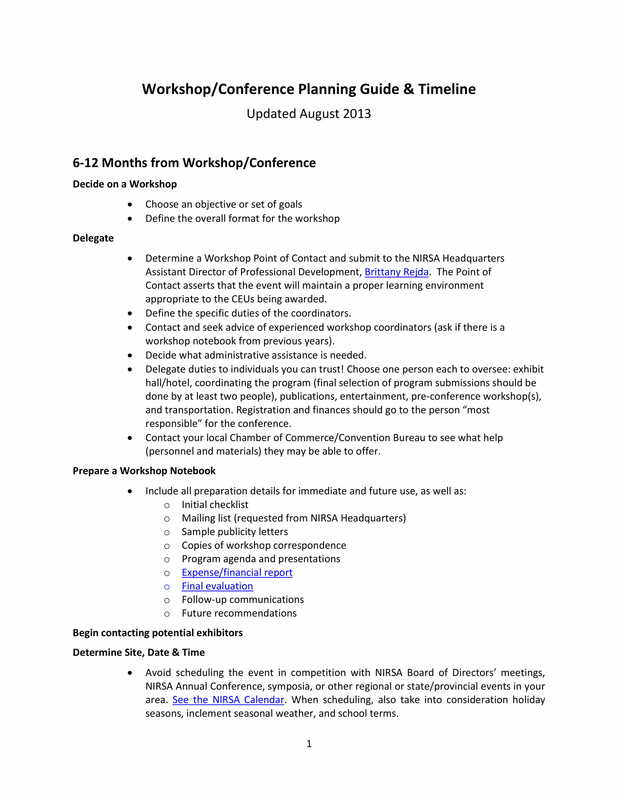 Identify the resources that can provide the financial needs of the conference project. It will depend on you on whether you will ask for sponsorship or donations through fundraising events. What is essential is for you to ensure that you can come up with the amount that you have planned to spend for the entire conference. Ensure that you will use proper pricing methods when defining and establishing the price of the conference entrance, registration, and/or ticket. The price of the conference participation must be reasonable enough so that you can get the attention and interest of your target audience. List down the actual program that will be used for the conference. You can also present a time frame per activity so you can calculate the expected duration of the entire conference project. Know how you will sell the tickets for conference participation. Your conference project plan must contain the assets of the conference that you can bank on for sales and marketing purposes. More so, decide on whether you will need the help of conference ambassadors, sales people, affiliates, and/or third parties when selling your tickets. You have to remain relevant and visible so that you can translate leads to actual conference attendees. Think of the conference brochure designs and examples that you will use so that you can present an overview of what the conference is all about. As specified above, know the venue of the conference and make sure that your conference project plan can present all the requirements that you need to meet so that you can block the venue for the program on your desired date/s. Identify the number of manpower that you need. Ensure that you will align the workforce requirements with the processes and activities that are needed to be done for conference project planning and execution. You have to make sure that the responsibilities that are expected to be done must be given to entities who are capable or has the ability to deliver what you need from them. 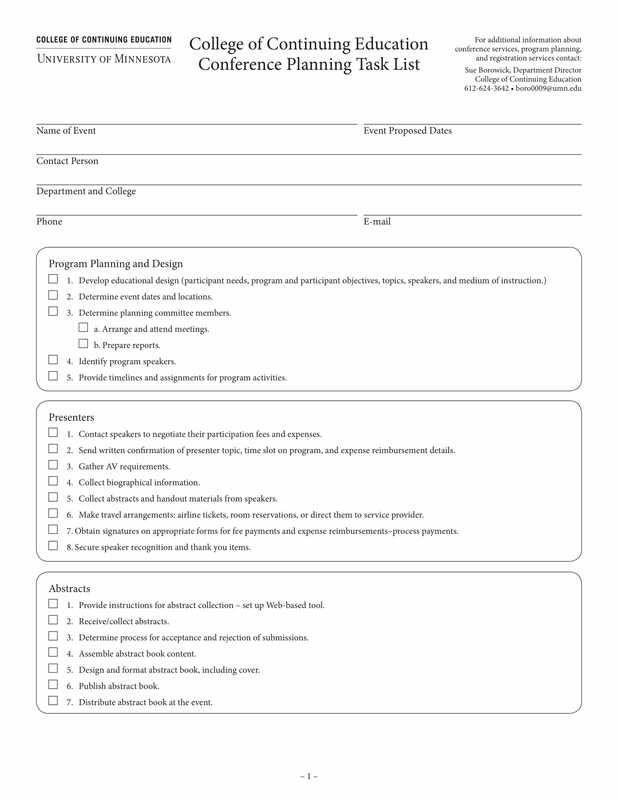 Since there are different industries, fields of expertise, and professional organizations that use a conference project plan, feel free to alter any of the content specified above based on the information that is required by your business or organization for a particular conference where the document will be used. The abovementioned information is only a guide that you can always tweak based on your liking. It will be great if you will collaborate with the suppliers, workforce, and other entities that you will be working with for the conference project within a particular meeting or specific time period. A walk-through of the entire conference project plan can be very helpful when it comes to answering inquiries and clarifying particular concerns. Always think of the attainability of all your plans. Assess and evaluate the conference project plan content and think of the things that you can change, add, or remove depending on how your planning processes develop. Your conference project plan may contain all the sessions that you want to realize during the actual conference event. Since you can already list down all the parts of the conference project, it will be easier and faster for you to group all the requirements of the conference project areas depending on the part of the conference where they will be used. Determine the specific audience that you would like to target. Your conference project plan will only work at its best if you can develop one that provides processes and efforts that are relevant to the activities or interests of your target audience. Knowing the people to whom you would like to market the conference project can also help you know the ways on how you can persuade them to attend the event. Use your conference project plan to plot advertising and marketing activities. A few of the things that you can include in the document are the industry leaders or movers and shakers that you can invite, the specific efforts for conference promotion that you will be doing, and the materials that can help you present your conference message to the market. 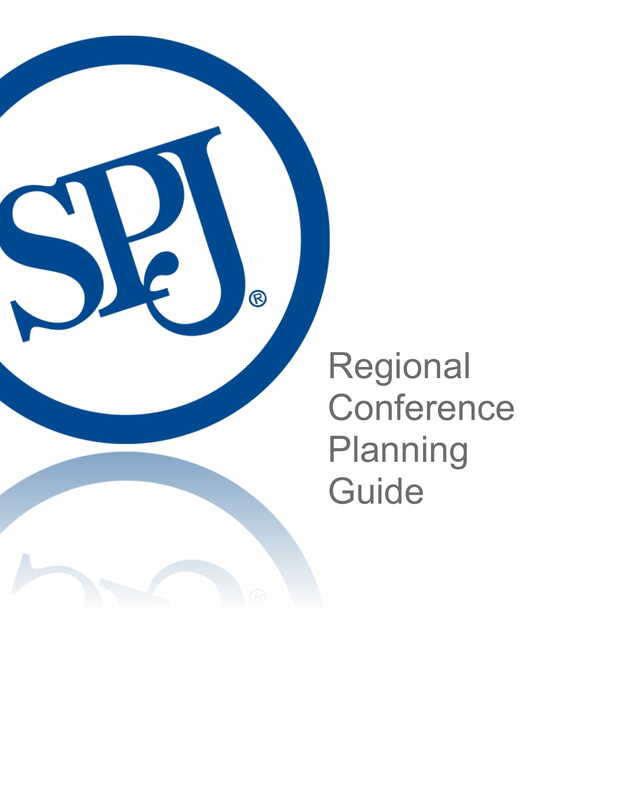 Creating a conference project plan comes with challenges, roadblocks, and risks. This is why you always have to be prepared when making this document. 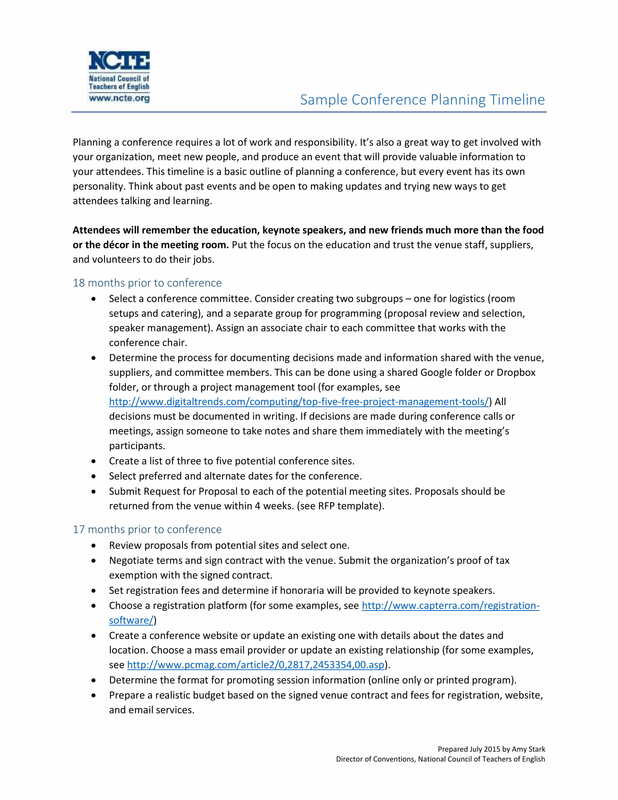 Listed below are some of the tips, guidelines, and recommendations that you can refer to if you have already decided to develop your own conference project plan. Focus on how you will organize the content of the conference project plan. 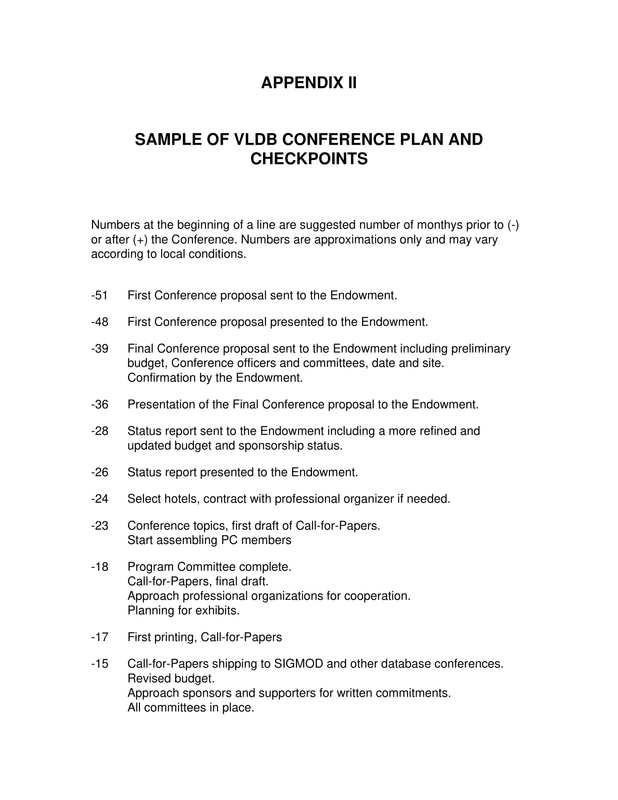 We recommend the usage of templates when formatting the document so you can be well-guided if you want to finalize the layout of your own conference project plan. For your benefit, you can include the development of a conference feedback survey in your conference project plan. Aside from the metrics and measures that you have set, it will also be great to hear the insights and suggestions of your audience so you can create a better conference project plan for your future conferences. Ensure that the conference project plan is free from errors. The content of the document must be precise, accurate, specific, and updated. Knowing that all the information in the document are realistic and measurable can give higher potential of successes when it is already time to execute your action plans. Use references and organizational tools when drafting a conference project plan. Tools like checklists and outlines can help you especially in having an overview of the things that you want to execute. You can also refer to existing conference project plan examples for content development. 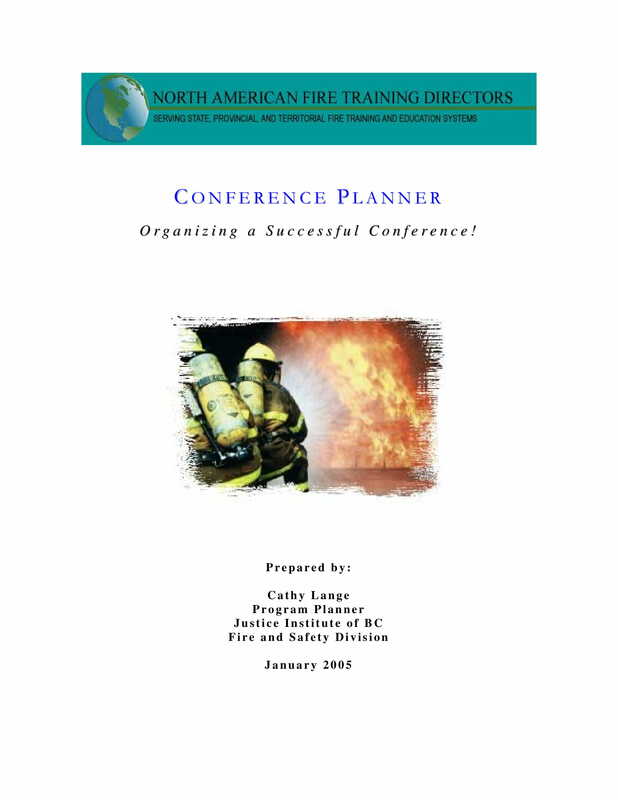 No matter what kind or type of conference it is that you are planning for, you cannot take away the fact that a conference project plan is a great document that you can use for organization and planning purposes. 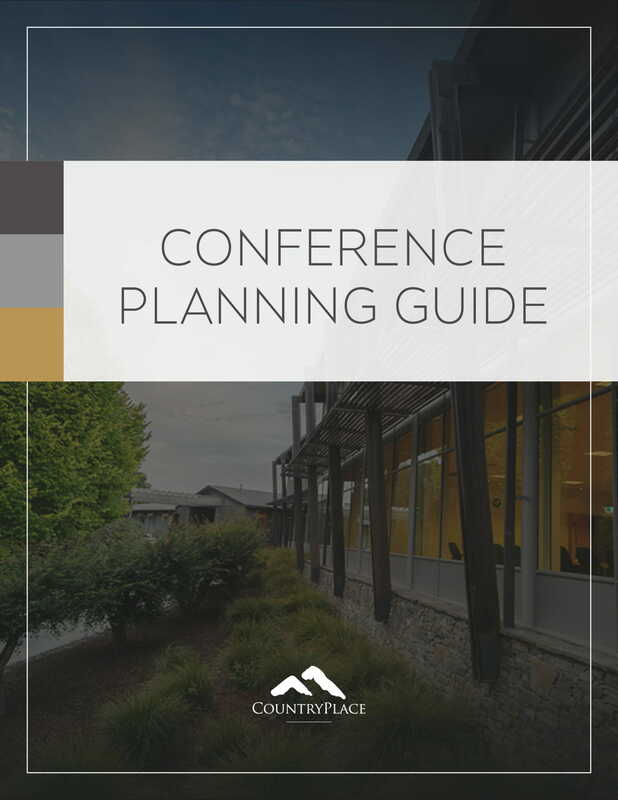 Start creating your conference project plan with the help of the downloadable examples in PDF that we have listed and put together in this post. Try to create the specified document and see how it can better the processes of developing your conference project action plans, incorporating particular tactics and strategies, and implementing your plans appropriately.